Giclee prints are machine-made art reproductions, created using advanced ink-jet technology. 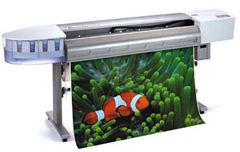 At Superchrome, a leading large format digital printing company, we specialize in giclee prints and canvas services. Superchrome giclee prints and canvas complement almost any environment. With a group of professional artists and technical experts, we can provide the giclee prints of world famous paintings for you. Our giclee prints offer smooth and consistent images on the best quality artists’ canvas, which are as elegant looking as the original painting. With Superchrome giclee prints and canvas, you can impressively deck your home and office. Our client list includes museums, galleries, artists and publishers. At Superchrome, we use fine quality artist’s canvas for making giclee prints. Giclee art works are printed directly on to high quality 340gsm canvas. Natural texture of canvas gives the exact look as the original paintings. We can supply giclee prints and canvas in any size and shape. Superchrome giclee reproductions are printed at high resolution. We use rich and vibrant archival inks for giclee prints on canvas. Our giclee prints and canvas remain durable and fade resistant for a long period of time. We also provide a fade resistant UV protection material to ensure better performance. The protective coating on canvas provides a matte, luster or glossy look to your favorite giclee art work. With the most sophisticated digital printing technology, we can offer low cost giclee prints and canvas services for you. Superchrome giclee prints and canvas offers flexible mounting options. We can provide your print on a standard wooden frame or it can be fixed to a flat board. Stretched or unstretched canvas options are also available. We can provide giclee prints and canvas service within fast turnaround time. At Superchrome, we are committed to provide the highest level of customer service. If you would like to know more about giclee prints and canvas, any of the projects shown or if you want to discuss any project you have coming up then contact us 020 7237 9333 or fax 020 7237 9444 or email sales@superchrome.co.uk. Our experienced personnel would be able to guide you appropriately.